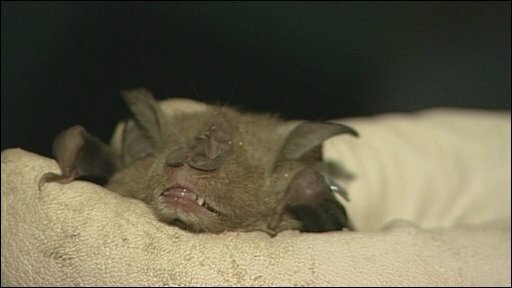 A North Somerset mansion has been praised for its work protecting its resident bat population. Tyntesfield estate has been highlighted an example of best practice in a new report by the National Trust. Maintenance work is timed to fit in with hibernating and mating schedules and new roosts are created during any building work. Eight bat species are found in the main house alone and the whole estate is home to 10 of the 17 species of UK bat. The report offers advice to anyone carrying out building work when bats or their roosts are present. 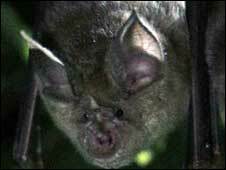 Species found in the Gothic-Victorian house and its woods and parkland include the rare and threatened lesser horseshoe and greater horseshoe bats. Tyntesfield House is praised for its work protecting the resident bat population. Dr David Bullock, head of nature conservation at the National Trust, said: "If considerations about bats aren't at the heart of any building work, and our old buildings aren't maintained, then they both face an uncertain future." Work at the estate is under way to reroof, rewire and replumb the main house, and to convert estate buildings into new facilities. This has meant staff on site are well practised at working alongside the bats. Martyn Evans from Ellis & Co, one of the contractors working at Tyntesfield, said: "All my team got specially briefed by a bat expert and this makes sure everyone has the basic information they need." Visitors to Tyntesfield can watch some of the resident bats without disturbing them via Tyntesfield's new interactive batcam.